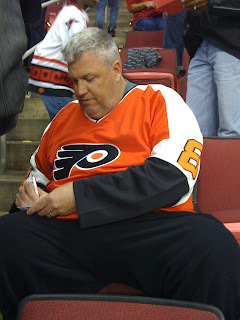 Huge weekend for the Stillers coming up, and as a Pens blogger I think this crosses over into my jurisdiction. 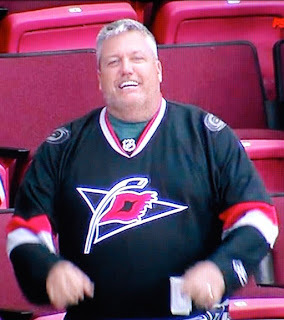 Here's some photos of Jets coach Rex Ryan at a Flyers-Canes game earlier in the season. That's enough right there to strike up some hate, but it gets more interesting. 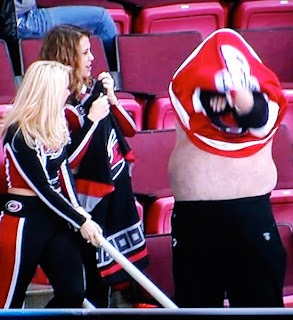 Notice the attractive Canes ice girls that have walked up to him and how quickly he rips off that Flyers jersey to show off his gut to the RBC Center. And will ya look at that. Didn't think ol' Rex would succumb THAT easily. 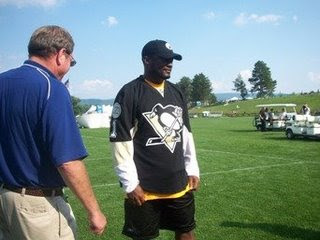 But anyway, let's hope Larry Foote and the Steelers will be a step ahead of him this weekend. Here We Go.